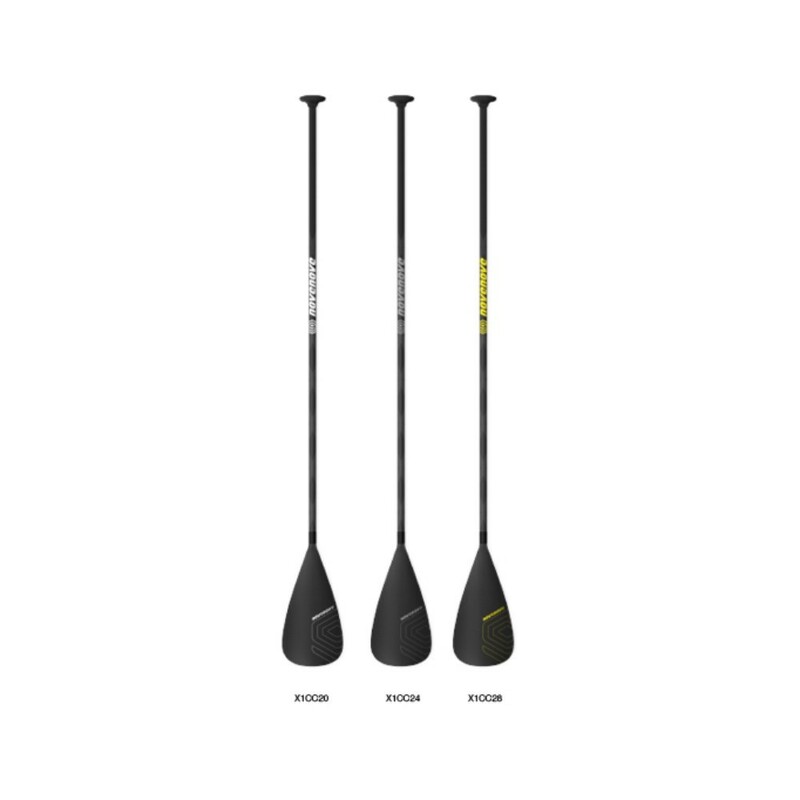 The X1-CC20 belongs to the 100% carbon Fixed Shaft X1-series 215 cm length paddles. It’s designated for a pro or expert rider demanding high perfromance. Narrow and squared blade with central spine for higher control during paddling, providing greater performance overall. The X1-CC24 belongs to the 100% carbon Fixed Shaft X1-series 215 cm length paddles. Innovative blade V shape on surface to optimize accelleration response. Perfect and ideal paddle for allround cruising and amateur racing. The X1-CC28 belongs to the 100% carbon Fixed Shaft X1-series 215 cm length paddles. High performance paddle generated by the narrow blade that allows faster paddling.